Situated at the ground floor of the Aira Boutique Sapa hotel, with contemporary stylish luxury settings and two wood-burning fireplaces, the top-rated fine dining Aira Sapa Restaurant & Bar is a truly unique location in Sapa where guests can enjoy a gourmet dinner and an exceptional dining experience while overlooking the beautiful views of valley and mountain. 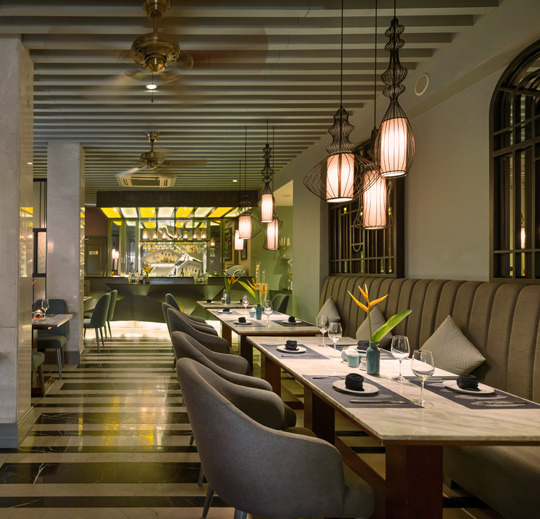 Aira Sapa Restaurant & Bar offers delectable, four-star, distinctive Vietnamese cuisine complimented by a wide range of wine list and superior service. This fine dining Vietnamese restaurant is accessed easily from Sapa center by car or on foot. i) Happy Hours from 6pm to 8:30pm daily: Cocktails @VND89,000 only. ii) 15% discounts for lunch and free one-way taxi to or from Sapa Church for all diners. iii) 10% discounts for lunch and free one-way taxi to or from Sapa Church for all diners.